Come make mosaics with RA Alex! 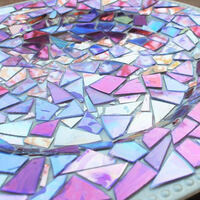 We will use broken CD's to make mosaics on plates. This is a fun program to craft and tap into your creative side while mingling with other residents!